Hwy 101 mile marker 355. Harris Beach is a large park complex near Brookings. It offers 35 RV hookups, over 60 tent sites, six yurts, and even a laundromat. 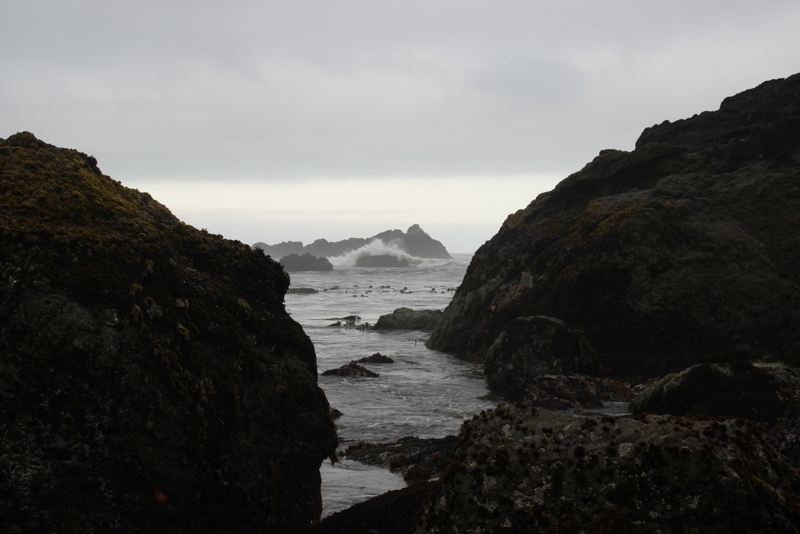 The beach provides several tidepool areas and looks out over numerous basalt sea stacks. 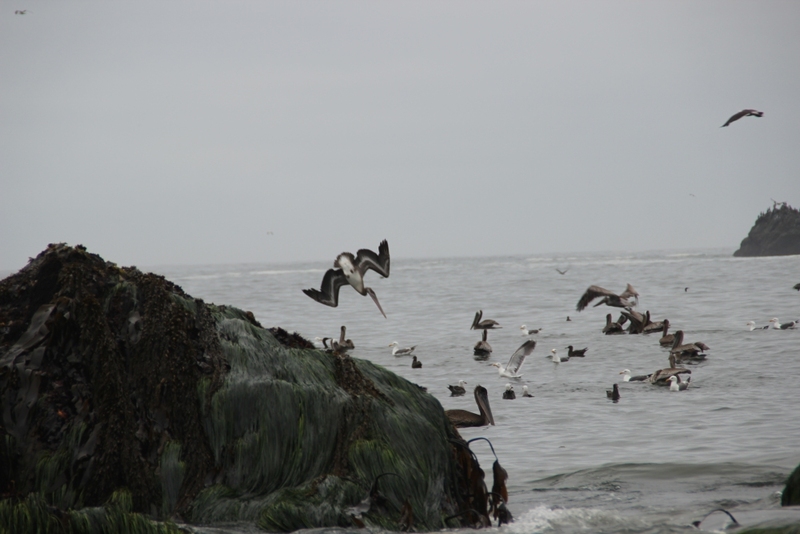 Just offshore is the largest island off the Oregon coast, Bird Island (sometimes called Goat Island), which is a National Wildlife Sanctuary. 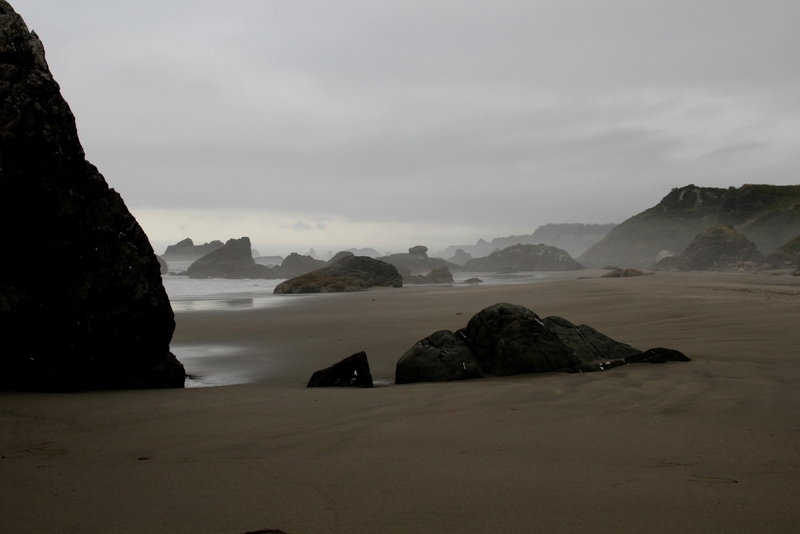 Oregon Parks link:Harris Beach No fee required for day use. These shots were taken at low tide early in the morning. This is the second time that I was treated to a bird feeding frenzy. The other was at the Gulf in Texas. The exhuberance of life is thrilling to watch (unless of course you're a fish). 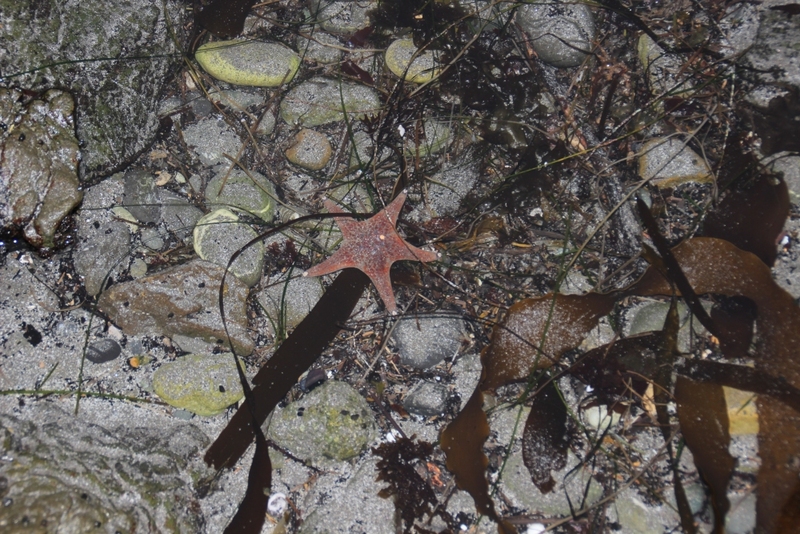 Some of the creatures in one of the tidepools, including a creature similiar to a sea star. These guys are a lot more patient than the birds!